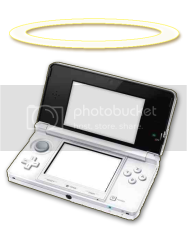 We are pleased to announce that 3DSBlessed has been saved, and will be around until October 2020 at the very least, if not longer! The site is now co-owned by HelenBaby, Cyburn and our newest team member ; Sev Rage! Sev Rage has some quirky content for you planned so do be sure to keep an eye on the site. We would like to wish you a warm welcome to the team, Sev Rage! Thank you very much! Looking forward to providing some interesting articles and content for everyone!